The RFX Race Series Handlebar Riser Kit is part of the latest RFX collection. The RFX Race Series Handlebar Riser Kit allows handlebars to be raised to the following increments - 25mm, 30mm, 35mm, 40mm. 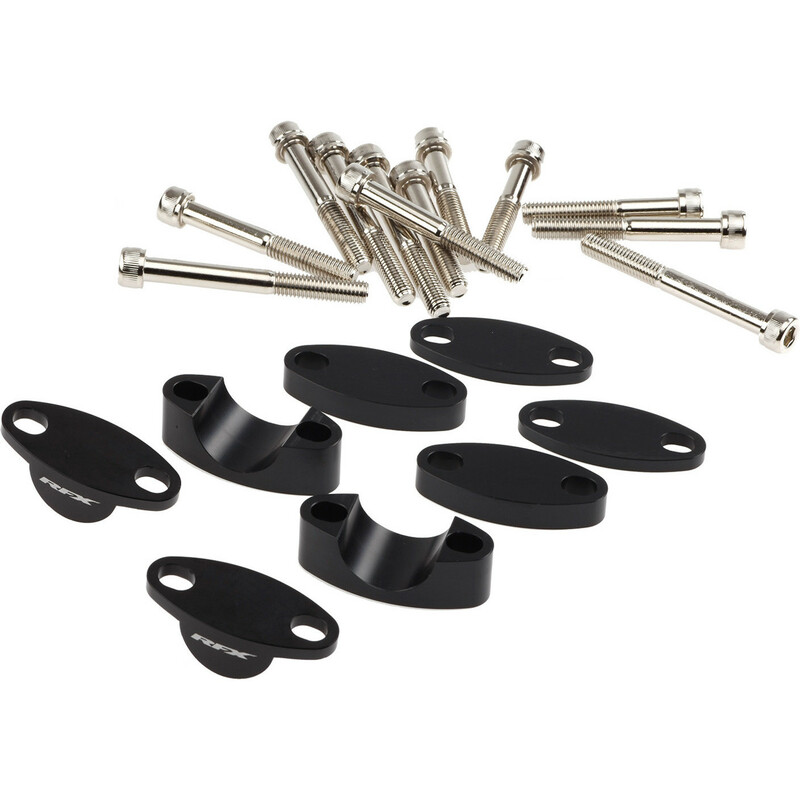 The kit fit into the original bar mounts allowing you to raise the handlebars in increments of 5mm from 25mm to 40mm. Available to fit Standard (22.2mm) or oversize (28.6mm) bars. Supplied complete with all mounting hardware. View all RFX Handlebar Riser Kits. View all Handlebar Riser Kits.